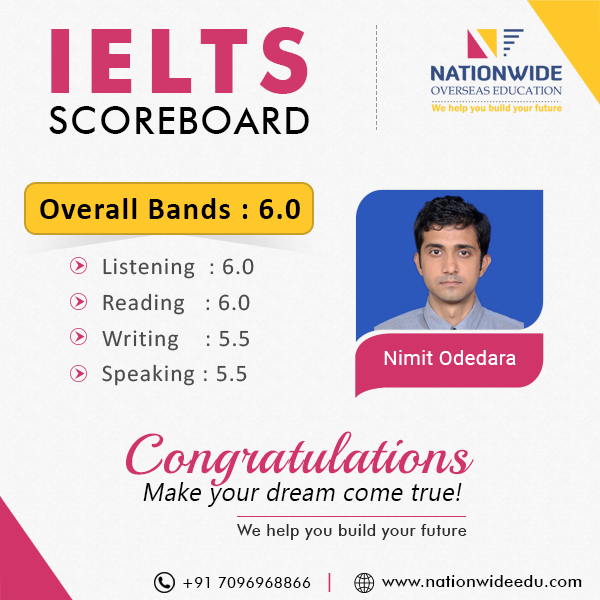 Nationwide congratulate to Nimit odedara for scoring overall 6.0 band in IELTS exam. 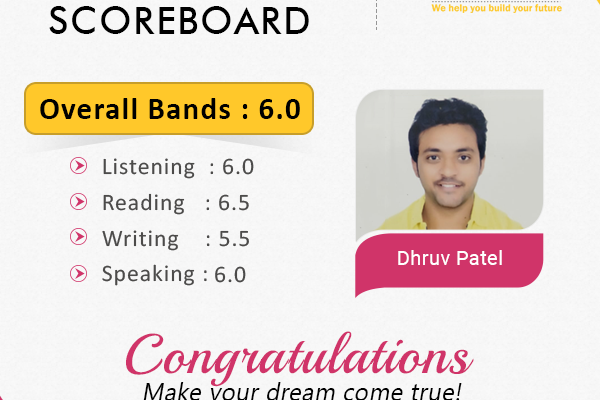 We are glad that he achieved his desire score with own hard work and tips of our experts. 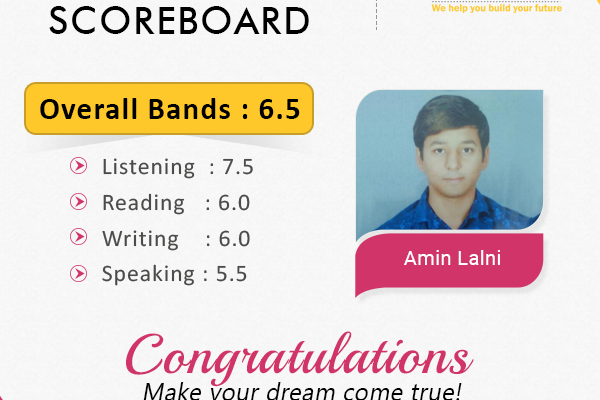 We wish him best of luck for his future endeavor and feeling great to share this achievement with you all. 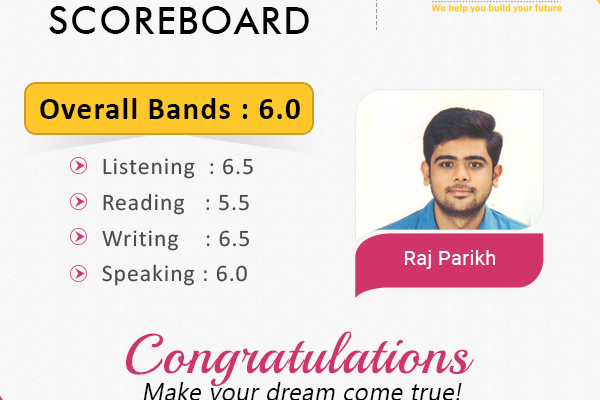 If you also want to achieve your desired score then join our IELTS coaching in Ahmedabad.